The City Manager is appointed by the City Council and serves at the pleasure of the Council. As the Chief Administrative Officer for the City of Green Cove Springs, the City Manager is responsible for the administration of all City affairs and departments and the execution of the City Council’s 2025 Vision Plan. The City Manager’s Office oversees all general government programs and services, as well as enterprise operations for municipal utilities. The City Manager is responsible for enforcing all City laws, ordinances and policies; attends all Council meetings; prepares the Annual City Budget and Capital Improvement Plan; and performs other duties as assigned by the City Council. Execute City Council policy to achieve goals and objectives. Serve the public in a professional manner with the highest standard of ethics and superior customer service. Represent the City in relations with the public, the media and other governmental entities. Demonstrate leadership to promote teamwork amongst all employees. Foster a positive business climate conducive to attracting and retaining development and redevelopment throughout the City. Present a balanced Annual Budget and Capital Improvement Plan (CIP) using realistic revenue and sustainable expense estimates to ensure fiscal stability. Mr. Kennedy was appointed to the office of City Manager on October 1, 2018. 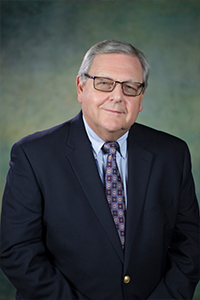 He has worked in municipal government operations for over 38 years; including 22 years with Thomasville, GA, one year with Cartersville, GA, 13 years as city manager of Kennesaw, GA, and 3 years as city manager of Americus, GA, before coming to Green Cove Springs. Kennedy received his bachelor’s degree in finance and accounting at Valdosta State University in 1975.